Featuring some of the world's champion waterskiers. Death defying jumps and razor precise slalom skiing against the backdrop of a top notch soundtrack in HD. 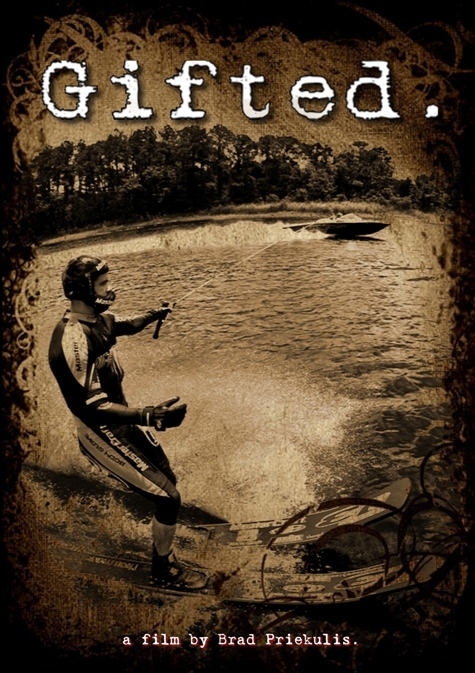 Produced and directed by Brad Priekulis, "Gifted" features extreme water skiiing by Freddie Krueger, WillyAsher, Ryan Fitts, Karina Nowlan, Thomas Moore, Billy Suzy, Tom Asher, Damian Sharman, Trent Finlayson, Ian Trapp and many more. We call them "Gifted." Gifted takes you behind the scenes of today's best waterskiers, shot completely in High Definition in some of the best locations in the world. Get to know these amazing athletes as they train, compete and live out their dreams as pro skiers. Set to an explosive soundtrack, this film takes you places you never thought you would go. Gifted is the film you can watch over and over again to get fired up for your next set!